Comment: JUST INSTALL CAMERA SYSTEM AND ENSURE IT WORKS PROPERLY. Comment: I would like to get an estimate for surveillance camera install. Gathering competing quotes from several companies. Comment: I've already bought a system (DVR and 6 cameras). 2 cameras inside, 2 cameras in front of house, 1 camera on side of house and 1 camera in back yard. Looking to hire installation company. Access to attic available. Comment: Install ring to existing wired doorbell. Must be able to set up completely to our phones. Comment: I need 5 cameras installed on a two story house. The lines have been run but we are having a little trouble with the PTZ camera. Avondale Home Security Companies are rated 4.63 out of 5 based on 2,809 reviews of 24 pros. 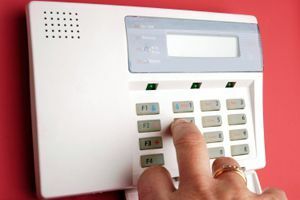 Not Looking for Home Security Services Contractors in Avondale, AZ?